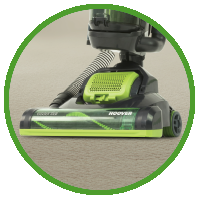 The Hoover Essential Upright Vacuum has a motorised power head for lifting carpet fibres as you clean - providing a deep clean every time. 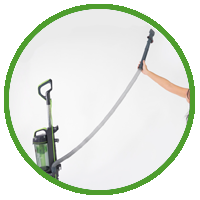 The detachable wand with flexible hose can extend up to 2.4m for cleaning versatility. Convenient power cord storage with quick release for easy access. 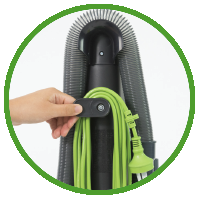 Picks up more with each pass - for a quicker and effortless clean. 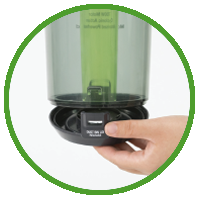 Large 1.6L dust bin can be hygienically and easily emptied. 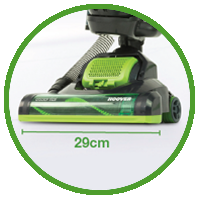 The Hoover Essential Upright Vacuum comes with a 1-Year Hoover Warranty.